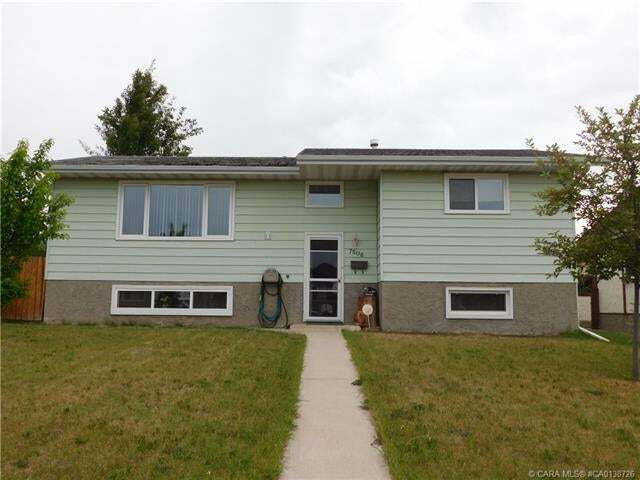 A very desirable Bi-level in Duggan Park on a quiet street with no through road. The main floor greets you with abundant natural light and wonderful hardwood flooring. The welcoming and spacious living room guides you into the easily accessible dining space which opens to the kitchen with lovely oak cabinets and a cheering large bay window. Two comfortable bedrooms and the main bathroom complete the main floor offerings. The impressive basement development presents a wonderful bedroom complete with an ensuite along with a huge family room to allow you to dream up options for your lounging moments. Imagine all this along with triple pane vinyl windows (except bay), newer hot water tank, carpeting, double tiered deck, alley access and an oversized heated garage. Your next home awaits you. Just move in its a perfect fit!